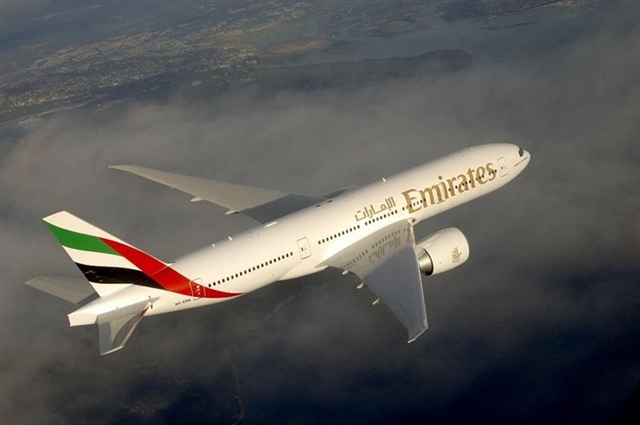 HÀ NỘI — Emirates offers summer promotion fares for customers from Việt Nam who book tickets from now until April 22 and travel from April 15 until November 30, 2019. Economy Class fares start from VNĐ17,189,000 (US$747) to Dubai, VNĐ19,999,000 ($870) to Paris, VNĐ21,809,000 ($948) to London, VNĐ23,819,000 ($1,035) to Amsterdam, VND25,189,000 ($1,095) to Madrid, and VNĐ27,179,000 ($1,181) to Boston. The Early Bird promotion also offers very attractive Business Class fares, only from VNĐ66,079,000 ($2,873). Business Class passengers traveling on the Boeing 777 can enjoy unprecedented levels of comfort with wider and more ergonomic seats that recline into a lie-flat position for a restful sleep. In addition, Emirates passengers from Việt Nam who purchase Economy Flex or Flex Plus fares can enjoy 30kg and 35kg baggage allowance, respectively. When booking Flex or Flex Plus fares, Skywards members earn more Skywards and Tier Miles, allowing them to earn the next reward or reach the next tier faster.